10AM SATURDAY, APRIL 27 Earth Day Storytime with Chris Gall: Awesome Dawson Join us for a special Earth Day celebration with award-winning picture book author and illustrator Chris Gall, who shares his new book Awesome Dawson. "Everything can be used again!" That's Dawson's motto. He collects junk that people throw away and turns it into something stupendous. But when Dawson uses his skills to create a machine to do his chores for him, he discovers he might have invented something a little too awesome. Can he stop the rampaging robot before it destroys the entire town? In Gall's new picture book about a boy superhero who turns trash into treasure (and saves the world! ), he inspires kids to reuse, repurpose, and recycle. Today, Chris Gall also hosts an Earth Day Contest! Participants can bring in a homemade robot made of recycled and repurposed materials found around the house. Chris will judge the winner. ABOUT THE AUTHOR Chris Gall is the award-winning author and illustrator of Revenge of the Dinotrux, Substitute Creacher, Dear Fish, There's Nothing to Do on Mars, and Dinotrux, a Publishers Weekly Best Children's Book of 2009. His books have received numerous starred reviews and awards including a Borders Original Voices Book for 2006 for Dear Fish and a Kirkus Best Children's Book for 2008 for There's Nothing to Do on Mars. Chris has won a multitude of awards from organizations like the Society of Illustrators and Communication Arts Magazine, and is also the illustrator of America the Beautiful, a Publishers Weekly Best Children's Book of 2004. He lives in Tucson. Katharine Lee Bates was born in Falmouth, Massachusetts, the daughter of a minister and a schoolteacher. She attended Wellesley College, where she studied English and Greek, explored her interest in poetry, and published one of her poems in The Atlantic Monthly. 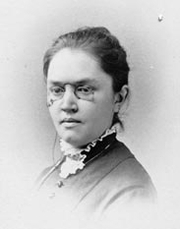 After graduating in 1880, she spent several years working as a teacher. She then returned to Wellesley College and joined the faculty as an English instructor. She became a well-known scholar of English literature, especially the works of William Shakespeare, and authored several books, including The English Religious Drama (1893). She also wrote about her European travels in such works as Spanish Highways and Byways (1900) and From Gretna Green to Land's End: A Literary Journey in England (1907). She published a few children's books, including little Robin Stay-Behind (1923). She served as the head of Wellesley's Department of English for many years. In 1893, her now-famous poem, "America the Beautiful," was published for the first time in The Congregationalist. After some revisions, it was included in her verse collection America the Beautiful and Other Poems in 1911. After further revisions, it became the lyrics to the patriotic ballad "America the Beautiful." Katharine Lee Bates is currently considered a "single author." If one or more works are by a distinct, homonymous authors, go ahead and split the author. Katharine Lee Bates is composed of 10 names. You can examine and separate out names.